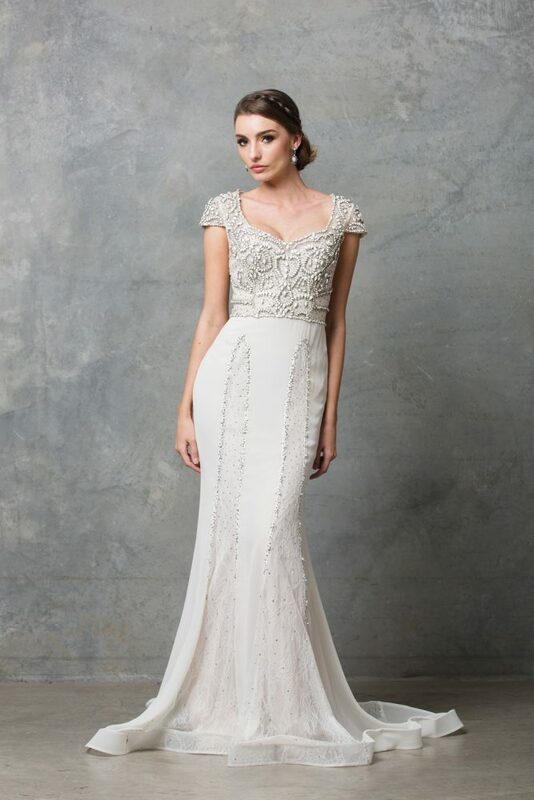 Luxe bohemian style in the gorgeous Isabelle bridal gown. The light weight georgette dress features striking soft lace panels with detailed edging, falling into a slim line skirt. 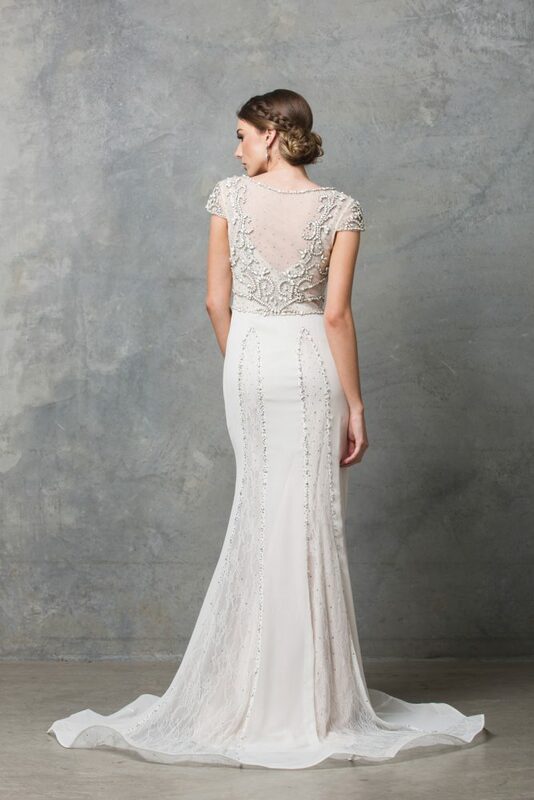 The stunning bodice with cap sleeves and semi-sweetheart neckline is patterned with a variety of opal like beads and crystals which carry through to a sheer enclosed back piece mirroring the design. A side invisible zip creates a seamless finish. 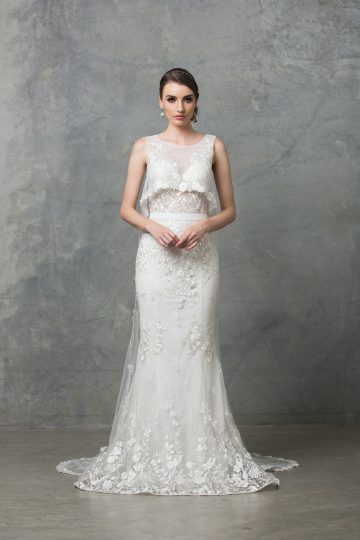 The Isabelle beaded wedding dress is soft and romantic. If you’re looking for something different then this is the dress for you. Created with a soft lace, delicate georgette and encrusted beads. Perfectly pretty for a relaxed soiree or destination wedding.The gowns cut and design is flattering to a variety of shapes and sizes (6-20). To identify your size see your nearest Tania Olsen Designs stockist and they will correctly measure you and assist with selecting your size.